A scratch trade gets you out of the market before the price turns against you. As I promised today we are going to look at Scratch Trades and a critical element of all trading – Letting Losing Trades Ride As Bets. Let’s get it on! There is a tendency amongst new traders to see the scratch trade as a waste of time. 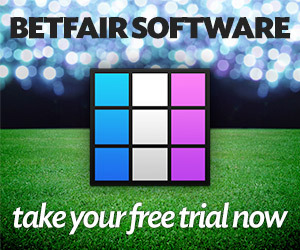 But it’s really easy to do with BetTrader. Once someone has made a scratch trade, only to then see the price move the right way they tend to stop doing them. The new trader can’t get it out of his mind that the scratch trade just cost him a profit and stops doing them. However, human nature will always make us dwell on what we just missed out on without appreciating what we’ve got. A scratch trade that gets you out of the market before the price suddenly turns against you is soon forgotten about as the trader quietly congratulates his trading skills and quickly forgets all about it. A missed profit has a different effect on many people than a saved loss of the same size has. The fewer scratch trades you do the more losses you will have, that is a fact, so therefore you need more profits just to get back the extra that you’re losing. It’s far better to not lose and then to not win than it is to lose and then win. To be a successful trader you must be taking profits and losses of roughly the same size, but having more profits than losses, the scratch trade taking the place of the losses. Do visit American Airlines Aadvantage Benefits for travel related info. As soon as you start to let your losses get bigger than your profits you’re creating an uphill battle for yourself because then you need to have lots more profits than losses just to break even. The absolute worst thing you can do is hold on to a trade because it went against you and let it ride as the race runs. Risking your whole bank because you couldn’t accept a small one or two-tick loss is stupid. This is gambling at its worst. If you want to gamble then gamble but at least do it properly. Don’t do a hybrid mix of trading and gambling where you’re doing each one badly. You know that in the long run it’s going to end in tears, so why do it? There’s no point in winning nine times and losing once if your loss is 50 times the size of your profit. That instantly wipes out more than a whole day of successful trading. Anyone with such a complete lack of discipline not only will lose but deserves to lose.